I'll be picking it up for sure! Great news! I see that Button Man will be a Netflix Movie, but I think a series (in the vein of the Punisher etc.) would also work well. Hopefully there will be three movies, one for each book. Looking forward to this! 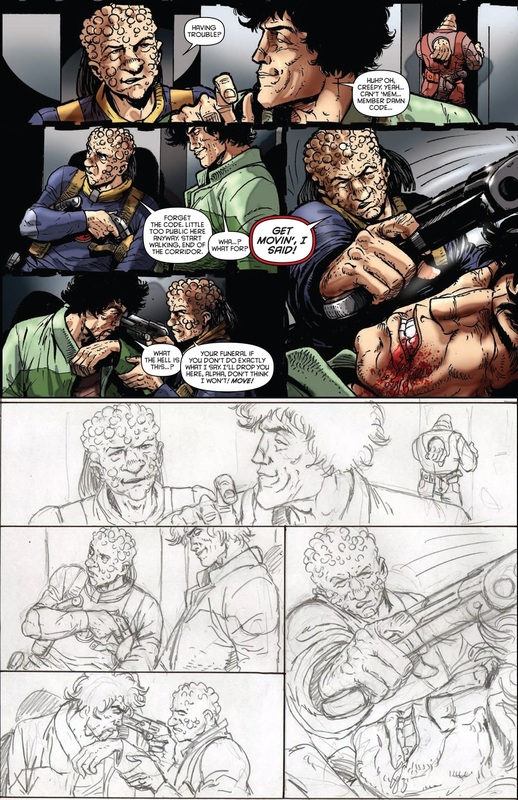 Strontium Dog...hardcover edition along the lines of the Mek Files, which retain the origional colour of the strip. Best of luck with getting a job Smith. I'm glad to hear you got an interview so quickly. Sometimes thats the hardest part. I hope all goes well with your sister too. Congrats to the winner! Second place winner Dan Chase is fantastic as well - Tharg had a difficult choice! I'm as amateur as it gets and have really enjoyed entering the contests. It gives me a purpose to draw, which is great. Honestly, one of my favorite things about the contest is seeing the art flow in at (almost) a daily rate, what a treat! 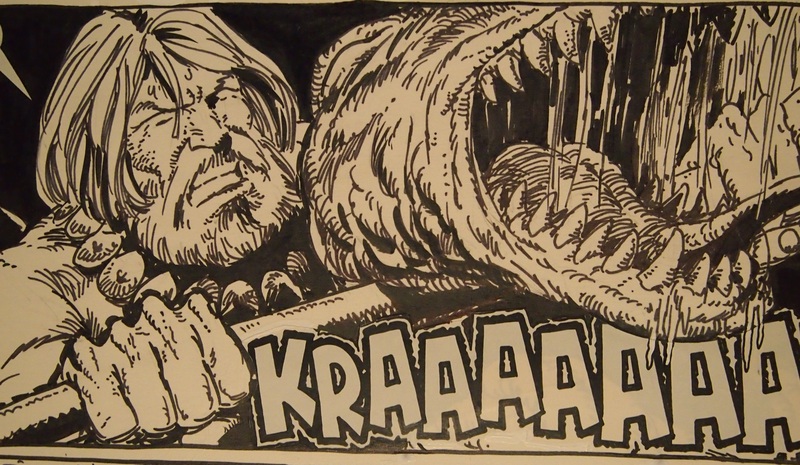 From the article: "The theme for the next competition will be John Wagner and Carlos Ezquerra’s ‘Strontium Dog’. Looking forward to Next comp! Skullmo, that is an incredible piece. What a fantastic image, I even prefer this B&W to the colored cover. Congrats. General / Re: Drokk!! - a rival to SpaceSpinner 2000?? One more from king Carlos! Creepy punching Johnny shortly after Alpha's return! 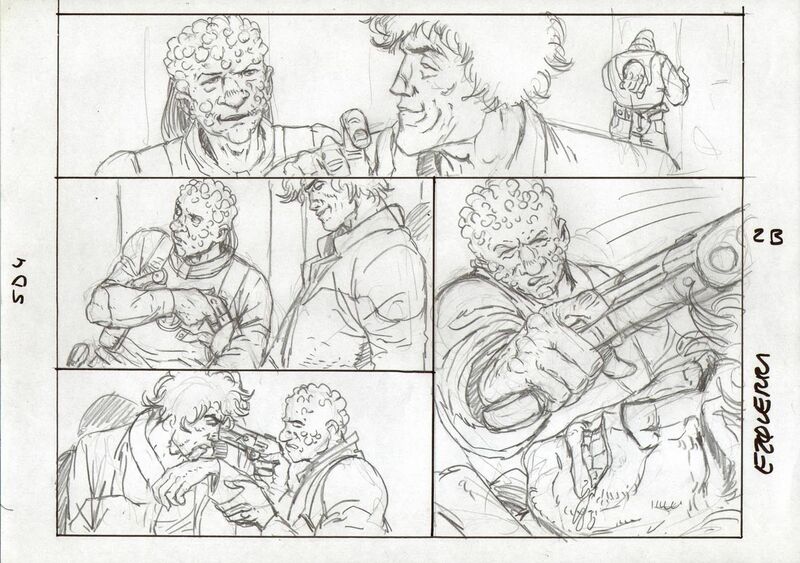 It's great to see his pencils as well. Wondering if the inks were added digitally or if he scanned and printed another page to ink it? 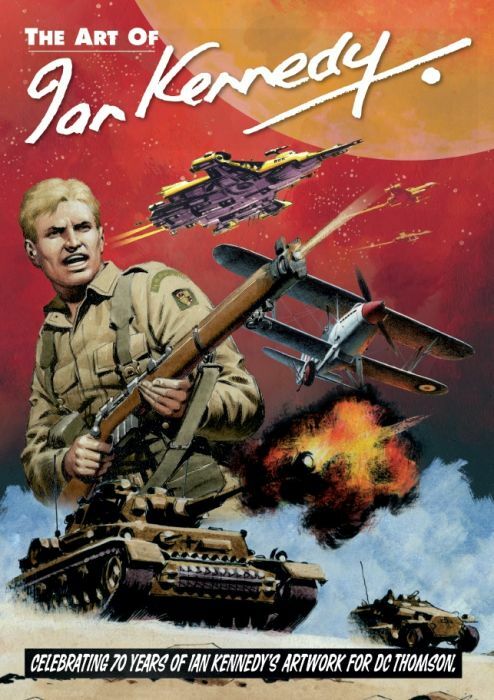 From PROG 457 (Max Bubba aka The Ragnarok Job). 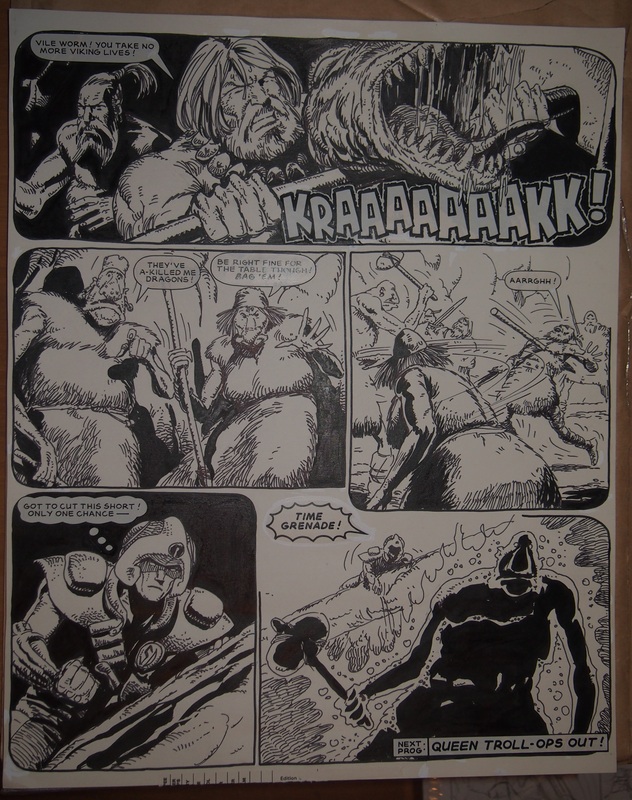 A very large and detailed piece of work from the late great king Carlos Ezquerra. I love it! 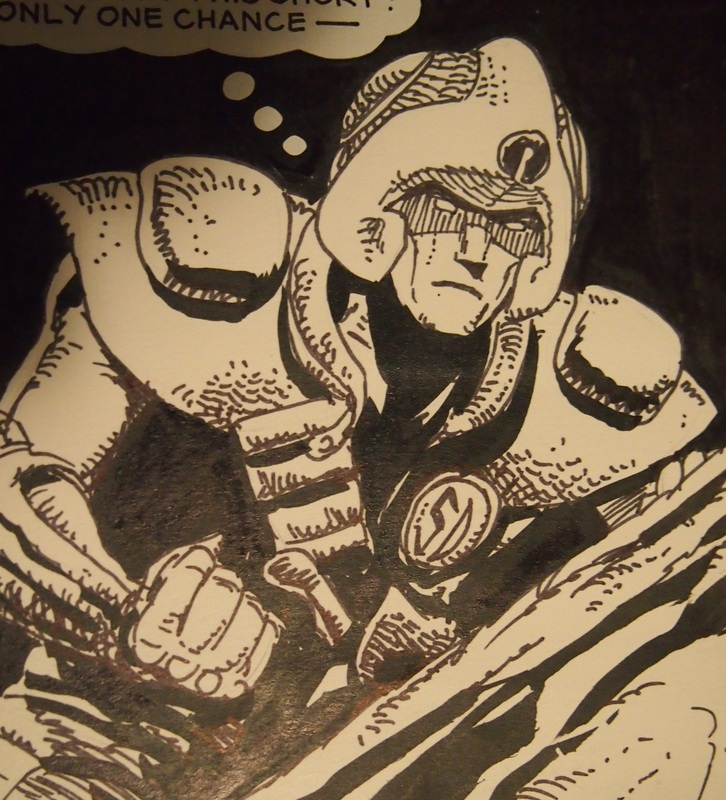 Creative Common / Re: The Dredd Head drawing thread! Any particular panel you enjoyed drawing or struggled with the most? My condolences Cyberleader, sorry for your loss. My thoughts and prayers are with you.